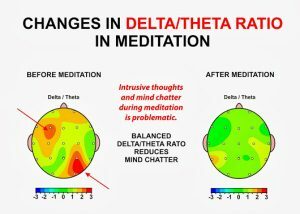 This image demonstrates the immense changes in the brain when it comes to meditation. Combine this with the power of music therapy which is an evidence-based, systematic practice that makes use of the different ways that music can support health, education, recovery and well-being. Then take this a step further with the power of specific frequencies and you have a meditation experience that is deeper than most that works on all levels in your system. Our founder, Tenille ​Bentley ​is a​ unique ​sound therapist who uses the science of sound, frequency and meditation to bring people into deep states of relaxation​. Her work uses the power of sound-scaping utlizing frequencies from the Solfeggio Scale. She uses this ground-breaking technology utilising the elements of, sound layers frequency and vocal latticing. Having a fascination with the resonance of sound and consciousness, she shares her work with many groups around the world and the results from her audiences are noted to be ‘transformative’. The Childrens Guided Meditation is layered with many healing frequencies and sound to help calm kids and bring them into a state of peace from their plugged in world. There is specifically a layer of frequency within this track, this tone is at 174Hz which is the lowest frequency on the Solfeggio scale, 174 Hz acts like an energetic anaesthesia. This frequency helps one feel secure, and has a slow, soothing quality to it. The Sound Frequency for Adults Track is a full album of guided meditation with song, each with different outcomes for each track, all with specific frequencies infused. The Shadow’s Track is a beautiful song to casually listen to instead of a guided meditation however has the 528Hz infused in the track which means you get the added benefit of the science of frequency whilst you listen to the track. All of these are great to listen to with headphones for maximum impact, however are still great on speakers for all to enjoy.